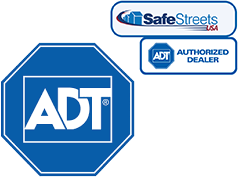 When you think about protecting your home, you probably think about the locks on your doors and the doorbell camera that’s positioned just outside your front door. If you’ve read our blog before, you know it can mean other things too, like drawing the curtains and lighting the outside of your property. 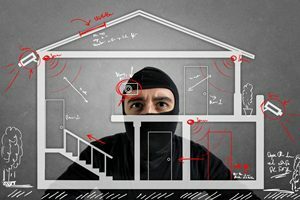 Unfortunately, you’ve got more to worry about than a burglar who’s looking for things to steal inside your home. Burglars can steal your information too. That’s why we don’t just focus on home security here at InHomeSafetyGuide — we focus on identity theft as well! We love it when areas of our website overlap, as is the case when it comes to protecting the devices that are inside your home. That means preventing hackers from gaining access to your internet. Here are a few tips for protecting your devices by keeping thieves from gaining access to your Wi-Fi. Companies make it easy to use a router right out of the box. They come with network names and passwords that make it easy to connect your computer and devices to the internet in just minutes. Unfortunately, for hackers that know their stuff, guessing those passwords based on brands and network names is easy. Take the time to set up your router properly by providing it with a new network name and a password that is difficult to guess. Check out our password tips for choosing one that is nearly impossible to crack. 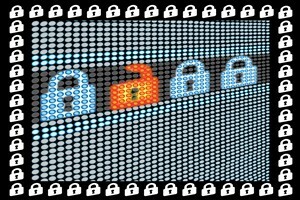 Another quick and easy way to make sure your network is protected is to check your firewall. It sounds like it’s something that would be hard to do, but it’s actually quite simple. Search ‘firewall’ on your Windows system and make sure it’s turned on and connected. If you’re using a Mac, click ‘system preferences’. Then, click on ‘security’ then ‘firewall’ to make sure it’s turned on. This is important because it is designed to block unauthorized access to your network, which in turn blocks access to your devices. If you really want to make sure your information is safe, consider encrypting it. Instead of reading the information on your devices like an open book, this scrambles the information that’s connected to your network, making it impossible for hackers to understand. It’s a must if you do any work from home, but it’s also a good idea if you use the internet for personal reasons because it can protect your credit card and bank account information. The only drawback with encryption is that it can be difficult to set up. To learn more about how to encrypt your information, click here. Another tip for the technologically savvy person includes knowing what a MAC address is and how to set them up on your network. MAC addresses are IDs that are used with wireless adapters. Every device has a unique MAC address, which means you can allow the connection of some while preventing the connection of others. It does involve finding the MAC address for each of your devices, which includes computers, tablets, cell phones, and smart home technology. But, once you have all that information entered, you never have to worry about devices without a familiar MAC address gaining access to your network. Learn how to use MAC addresses here. With so many devices in the home, and the popularity of smart home technology, it is more important than ever to think about the devices in your home. Keep burglars from stealing those devices with a home security system and keep them from stealing your information by protecting your network. With these tips, you can keep those hackers at bay!